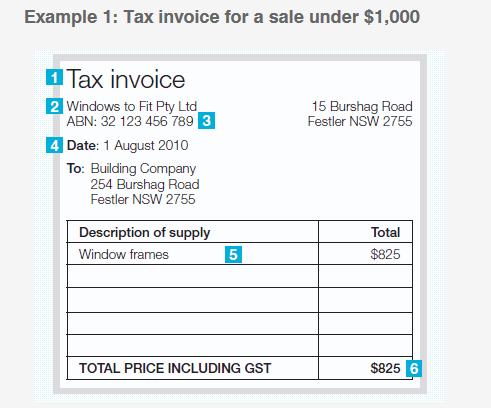 An invoice must contain seven pieces of important information so that it can be used by your customer to claim a credit for the GST in the purchase price. 7. If GST is shown as part of the total price, there must be wording to that effect on the invoice. 8. 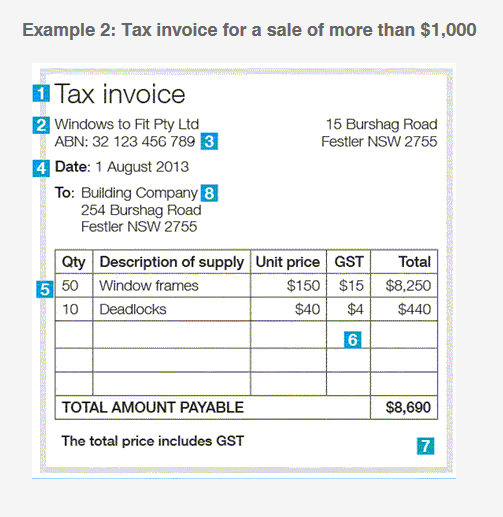 If the invoice is for a sale of more than $1,000, you must also show the buyer’s name or ABN.